Die beiden gesuchten EPs zusammengefasst auf einer LP! 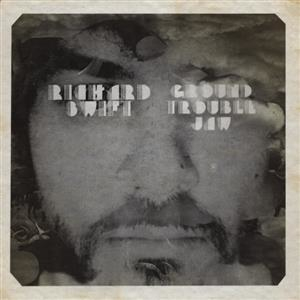 Combines two beloved Richard Swift EPs, long out of print Unique 2xEP artwork and obi strip Swift was a celebrated producer, collaborator and performer with The Black Keys, The Shins, Lucius, Nathaniel Rateliff, Damien Jurado, and many more It was a great Swiftian irony that the shining moment of realization that is Ground Trouble Jaw first saw its release as a modest, digital-only EP in 2008. Here we right that wrong, and pair it with 2011's Walt Wolfman EP, very much a spiritual twin of Ground Trouble Jaw. Ground Trouble Jaw is the lens that pulls Swift's catalogue into a focused oeuvre. It was the first release that folded the tireless, vying personalities of Richard Swift's art _ the art brut R&B of Onasis; the John Fante saloon player of The Novelist; the Brill Building songcraft of Dressed Up For the Letdown _ into a singular, succinct artistic statement. Here is a man discovering at once his own capacity for timelessness. The triumphant, Sly Stone burner "Lady Luck" feels like a song your heart knew before you did, a ripe jazz apple that Swift plucked on a stroll through the orchard. You can feel his joy and the responsibility of his personal discovery. You can imagine a not-to-distant future in which parents and children slowdance together at weddings to the childhood sweetheart doowop of "Would You." The electric artistic breakthrough is palpable. Walt Wolfman's blown-out, basement R&B speaker-shredders are not for the faint of heart. Highlight of the set, "MG 33" is a raw and ghostly trance, a blast of kinetic energy and that jazz apple smoke blown right in your face. The quasi-title track "Walt Whitman" is a cryptic salute to Whitman, whose American lineage of primal, urgent art can be traced to include Kerouac and Ray Johnson, Bo Diddley and Beefheart _ right on through to Swift himself. He was an outsiderpop wanderkind who could do more with one worn, old mic than most men could with a high-end studio, taking "the holy moment" and making it eternal.